STUDENT: I’m having a really hard time coming up with an idea for this project. ME: Okay, give me one of the ideas you had. STUDENT: Well, uh… None of them are any good. ME: No biggie. Give me the worst idea you had. STUDENT: (laughs) To tell you the truth, I didn’t have any ideas. I love assignments that have very few directions. My students last year called them “choose your own adventure papers”. I want my students to learn how to creatively solve interesting problems independently. To get a sense of what I’m talking about, check out this paper that I have my social change students do that requires them to take action to ameliorate the social problem that they’ve been researching all semester. In my anecdotal experience, students presume that if they don’t have a “good idea” immediately after reading the directions, they feel they never will. Almost all the students who approach me for help have not brainstormed on paper, or talked out their ideas with a classmate, or any other form of creative problem solving. It seems that it never even occurs to them to do so. We have to teach our students to use their creative problem solving skills and remind them to employ the strategies they’ve been taught previously (e.g. brainstorming, mind mapping, etc.). I ask my students, “what’s your worst idea” to give them the space to have ideas without any expectations of quality. Then I ask them to brainstorm the idea with me, then and there. I bite my tongue and let them talk through their ideas. If their really stuck, I might ask them a question a la the Socratic method. But no matter what, I absolutely will not give them the answer. If no “good ideas” come out during our 5 minutes of brainstorming, I ask them to, on their own, mind map or otherwise write down their ideas and then bring them to our next class. Without fail, they figure it out. They come bouncing into class to “tell me their good idea” and I can say, “see I knew you had it in you!” When we force our students to work through their creative process independently, we make a space for them to practice arguably the most valuable skill we could ever teach them; how to independently & creatively solve interesting problem. Email is the digital equivalent of weeds. You can spend all day dealing with it, but tomorrow there’ll be more. There is no trick I can give you to reduce the size of your inbox, but I do have a few strategies for minimizing the impact email has on your day. The first is to follow the divide and conquer approach described in the first post in this series. But after you’ve done that here are 5 more quick strategies. Unless you are trying to develop a connection with a student, try to end the conversation with every email. If you can end a conversation in one email rather than bouncing emails back and forth, you’ll save [bookoo] time. Some students ask you questions that are clearly covered on the syllabus, but a lot of students ask questions because what you said in class, written in a class-wide email, or printed on paper isn’t as clear as it could be. Always be thinking, “will students email me questions about this?” as you’re writing or saying anything. You can’t nip all of them in the bud, but a majority of them can be. Students like to ask you to do things for them, but you should say no. Instead offer to do it with them. The classic example of this is the question “will you read this 10 page paper and give me feedback before it’s due so I can know if I need to keep working on it?” This is a one way time transaction. When asked I reply, “I’d love to go over your work with you, but I prefer to do it face-to-face. Please feel free to stop by my office hours or let’s set up a meeting soon so we can really pour over your work.” This approach dramatically speeds up the process because you don’t have to write everything down. The old adage, “I can’t be working harder than you,” is the driving logic behind this approach. Give your students a way to answer their own questions online. Most LMSs have a discussion board feature that can easily be turned into backchannel for student interaction. My students use this all the time and I patrol it frequently to be on the look out for crises as they bubble up. If you are using Gmail (and god love you if you aren’t/can’t) you owe it to yourself to learn the keyboard shortcuts. These make it a snap to reply to emails (just push r), archive an email (push e), move up or down your inbox using j and k, etc. It may take you a minute to learn to incorporate them into your workflow, but they are a huge time saver (especially [ and ] which archive and move up and down your inbox). Read this if you want some help on setting these up on your gmail account. Help!!! The LMS Screwed Me! Do you give quizzes online? If you do, then you feel my pain. I use weekly quizzes to assess student learning in real time (à la my Early and Often strategy). On the face of it, this is a great plan, but every week I am inundated with emails from students claiming that they took the quiz, but that our LMS lost it, glitched, or cheated them in some other way. So here’s the conundrum: How do I create a policy that is fair to students who really have had technical difficulties that are beyond their control, while also weeding out students who are false reporting them? My solution, create an explicit set of directions to get the students to troubleshoot their problem themselves. Then only after they’ve tried everything, they email me. All the pieces you will need to adjust are highlighted in red. If you modify this form or have suggestions for modifications send it my way to nathan@sociologysource.com or @SocSource on Twitter. I’d love to see your work. What I like about this policy is that it puts the onus of solving the problem almost entirely on the student, which means it can scale to even the largest classes. This acts as a buffer because almost 99% of the problems will be solved before they even send me an email. Second, it is a standardized approach to the problem. No one can say I was unfair as long as I don’t deviate from the policy. Lastly, it rewards students who don’t wait until the last minute to take the quizzes. I am always astonished at how poorly some students communicate. More often than I care to remember, students will send me an email that doesn’t include the very basic information that I would need to help them with what ever problem they are experiencing. I know that you too are experiencing this problem, so I created a website to make it really easy to help our students learn the basics of email. I give you APoliteReminder.com. It is a simple, straightforward website that saves you and I from having to repeatedly educate students on the fundamentals of communication. Furthermore, it is a POLITE reminder. The text is written in a way that doesn’t denigrate students or try to embarrass them. We need to educate our students not alienate them. So check out APoliteReminder.com. Tell your students about it. Tell your friends about it. And lets make the Internet a more effective medium to communicate with. Part 2: Getting More Out of Your Students & Giving More of Yourself. “How could I provide better customer service to my students?” This is the question I kept asking myself after reading Delivering Happiness by Tony Hsieh. 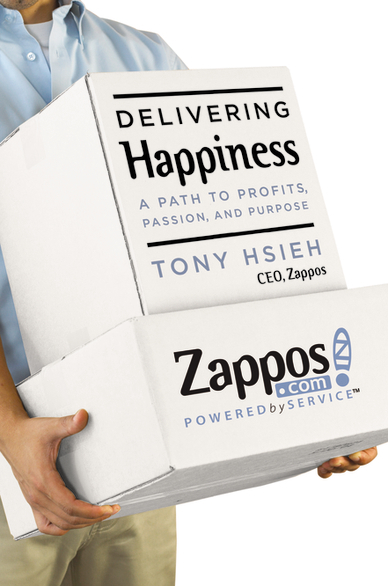 Hsieh (pronounced like Shay) is the CEO of Zappos.com, an apparel company that is renowned for their dedication to serving customers. When I started the book I thought, “well this will be an interesting read, but I am lucky I don’t do customer service.” By the time I finished this book, my whole view of teaching changed. Hsieh’s work provides two worthwhile insights for teaching that I cover here. First, I argue that teachers do provide customer service and second, what makes people happy. I reject the consumer model of teaching flatly. I am not an employee of my students. What happens in my classrooms is not a transaction. Good classes help students develop in personal and professional ways. Great teachers focus not only on the material, but on guiding students through a process of learning and personal growth. So before we can go any further with this discussion I need to disentangle customer service from consumerism and capitalism. A more useful definition of customer service, for teachers, is creating professional connections with students that acknowledge their humanity and uniqueness. Customer service then is the opposite of a teacher-student relationship where the only thing a teacher knows about the student is what their grade book tells them. I can provide customer service to my students by knowing what their educational dreams are and directing them to resources that can help make them a reality. I can provide customer service by committing myself to learn each student’s name (currently I have ~200 students, FYI). I can provide customer service by learning each of my student’s names and at least knowing some basic information about them. Responding to email in a timely manner is customer service. Being in your office during office hours is customer service. Providing clear directions for all of your assignments and using rubrics when grading is customer service. 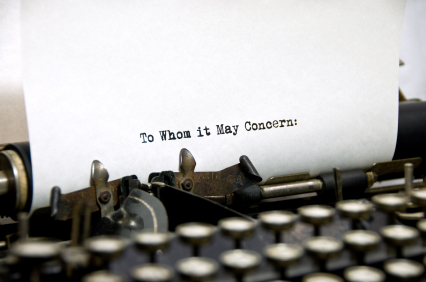 Providing rich feedback on written work is customer service. I can provide customer service by avoiding terse language in emails and showing patience when I answer a question for the hundredth time. Making students happy is simultaneously something that many faculty would say is, “not my job” and other faculty would say is the holy grail they’ve been searching for their entire professional lives. You can’t make everyone happy, but in Hsieh’s book he reviews some of the basic findings happiness research provides. Psychologists of happiness find four main situational aspects that lead to happiness. 1) Perceived control, 2) Perceived progress, 3) Connectedness, and 4) Being part of something bigger than yourself. I’ve been thinking about ways I could structure my class to increase each of these. The clearer you can be with what you expect of your students the more control they will perceive. Clearly defined assignment directions and a clear syllabus are good steps in the right direction. Grading rubrics also promote student efficacy. I am also a big fan of providing my students with multiple options on any assignment. There is certainly more work in creating multiple assignment directions, but it’s nice to not have to grade 200 copies of the exact same project. Also, it lets students pick assignments that most interest them. Giving your students timely feedback on graded work is the best way I can think of to promote a sense of progress. I, like many of you I’m sure, use an online grade book so that students can see their course grade in real time. I make it a priority to get feedback to my students within a week. This is the toughest one for me. I am experimenting with creating a Facebook group page for my course, but I have found students don’t really communicate as much as I would like on the page. We can, of course, do group activities and small group discussions, but this isn’t enough for me. I think this is the aspect of happiness that if done right could pay the greatest dividends for us all. Sociology as a discipline lends itself well to connecting to the larger community outside your classroom. Local current events can bring sociological topics to vivid life. Service learning opportunities can literally take sociological concepts out of the classroom and into the “real world”. You can also create projects that require your students to take an activist stance in their community. “But it’s not my job to provide customer service or make my students happy,” you may be saying. Agreed. It may not be your job, but it’s your opportunity. It’s your opportunity to bring your art to your audience in a way that will create a lasting meaningful change in their lives. It’s hard to do and the constraints we all face make it even more difficult, but this is what we should all be aspiring to. What do you think? How do you provide customer service or set your class up to make your students happier? Tell us below in the comments. Part 1: Getting More Out of Your Students & Giving More of Yourself. Note to Readers: I thought we’d take a break from our normal posts to talk about a few recently released books and how they impact teaching and specifically my teaching philosophy. I want this to be an open discussion, so I have turned on the comments below. Alternatively you can email your thoughts to me at Nathan@sociologysource.com. Recently I read two books that have changed my approach to teaching. 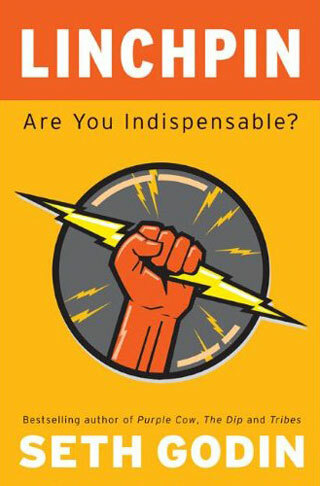 The books Delivering Happiness by Tony Hsieh and Linchpin by Seth Godin are not about teaching or education really. They are about giving your art to the world. Godin’s book begs you to silence the voice of resistance inside you that wants you to hide your art. Hsieh’s book wants you to see that your happiness lies within your art and within those you give your art to. For the first part of this two part series I will focus on what I learned from Godin’s Linchpin and how it has changed my game. On Friday in part 2 I will focus on how we can create a happier classroom and increase our educational outcomes in the process. I consider teaching my art (as I am sure many of you do). I spend almost my entire waking life thinking about ways to make my classes better. It’s my passion and some close to me may say my obsession. I call it my art not because I think my classes are so amazing; I have had amazing classes and I have had mediocre classes. I believe teaching is art when you can make connections with another human being. It is art when students leave class a changed person. When you breakdown the complex and esoteric so that students can understand it in simple terms, it’s art. I have never made a masterpiece yet, but like anyone who considers themselves an artist, I will be chasing it for the rest of my life. You are an artist. The world needs you to believe in your art. Then the world needs you to share it with as many people as possible. This is the central message of Godin’s Linchpin. I don’t need to tell the readers of this blog that teaching sociology can change lives and be the catalyst for social change in your community. What an amazing and imposing opportunity this is. Thank you for taking this challenge. I am sure you don’t hear this enough. What should we be teaching in our classrooms? After reading this I had to take stock of what I am doing in my classes. I was working really hard to open students eyes to the larger world around them, but I wasn’t teaching them to lead and I wouldn’t say the problems I was having them solve were… interesting. I still don’t have all, let alone some, of the answers. Today I am just posing the questions. For example if, like me, you give close book multiple choice tests then what are you preparing your students for? Is there ever a scenario in day to day life where a person has access to a whole bunch of useful information for solving a problem, but then at the moment when it is most needed it is taken away? How do you solve problems in your life? I use Google, research, books, colleagues, and anything else I can find. If this is your reality too, then why don’t we test students differently? Another problem with multiple choice tests are they tend to test lower order learning. Multiple choice is great for testing definitions, facts, names, and dates, but it’s really hard to write multiple choice questions that ask students to apply concepts or evaluate problems. It can be done, but it rarely is. I tell my students that when they are being interviewed for their future jobs the main thing the HR staff will be trying to figure out is, can this applicant lead and solve interesting problems. I am using “interesting problems” in the broadest sense possible here. They will not assess if the student can memorize a whole bunch of facts, names, and dates and then mind dump it on paper. That passive form of learning is useless in the larger world. “But I teach classes of 100 or more students.” I feel ya, I do too. Which makes teaching leadership and creative problem solving all the more challenging. However all art is created within constraints. Virtuoso artists thrive under constraints. Shakespeare flourished underneath the very tight constraints of sonnets. The trend in higher education is for classes to get larger and larger. We can either complain about it and reminisce on better days or we can work within our constraints and deliver our art. Given that I’m a long way from retirement, I vote for the latter. So what do you think? How are you getting your students to learn to see, lead, and solve interesting problems? How are you overcoming your constraints? Please feel free to comment below or email me directly at Nathan@sociologysource.com.